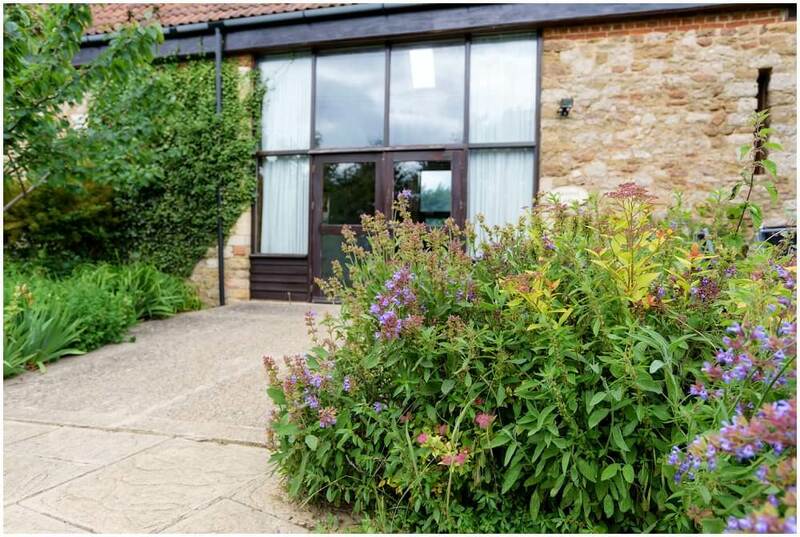 The charming Self Catering Kestrel Lodge is set over two floors, offering a cosy accommodation that feels surprisingly spacious. 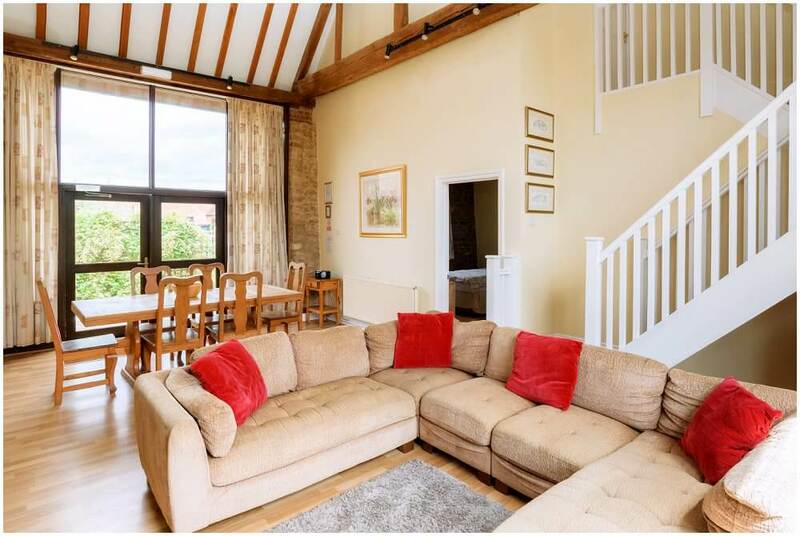 Kestrel Lodge is our second spacious barn conversion, beautifully restored and featuring original wooden beams and a light and airy feeling throughout. 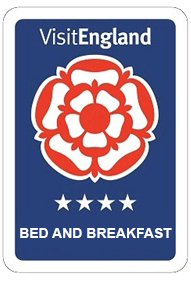 Well equipped, first class accommodation to please all the family. 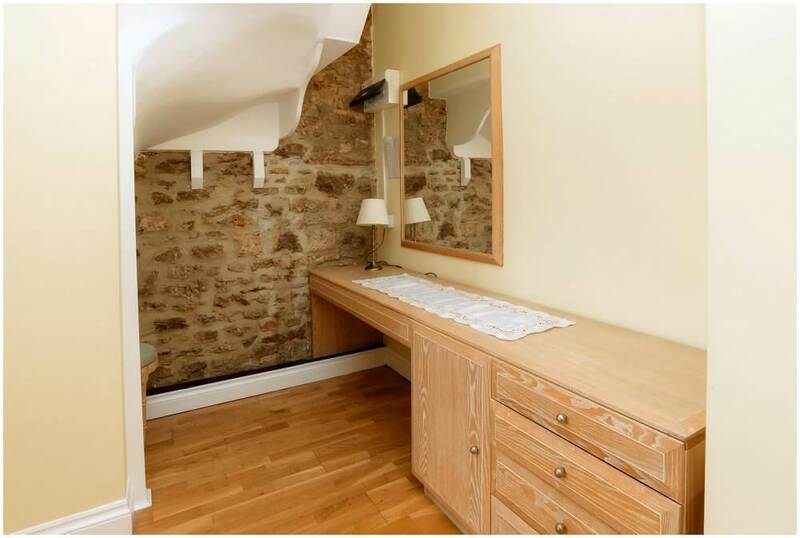 Superb location with so many exciting places to explore. 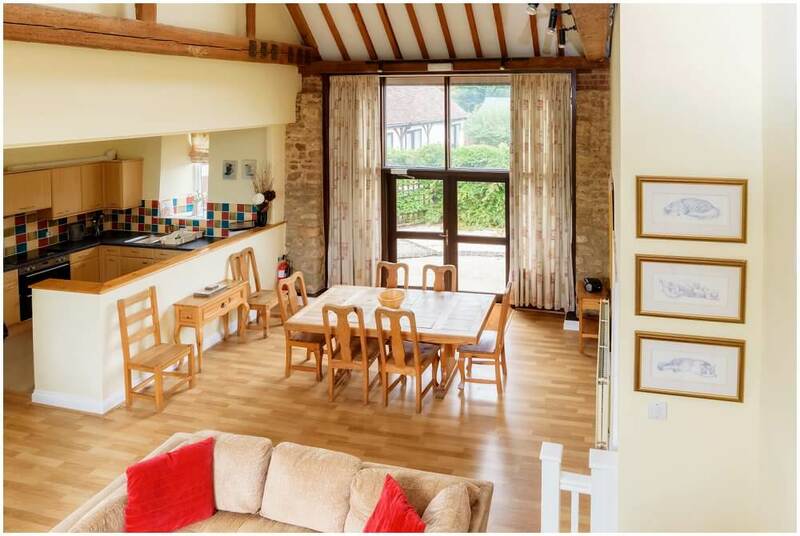 This self catering lodge is big, bright and beautiful. 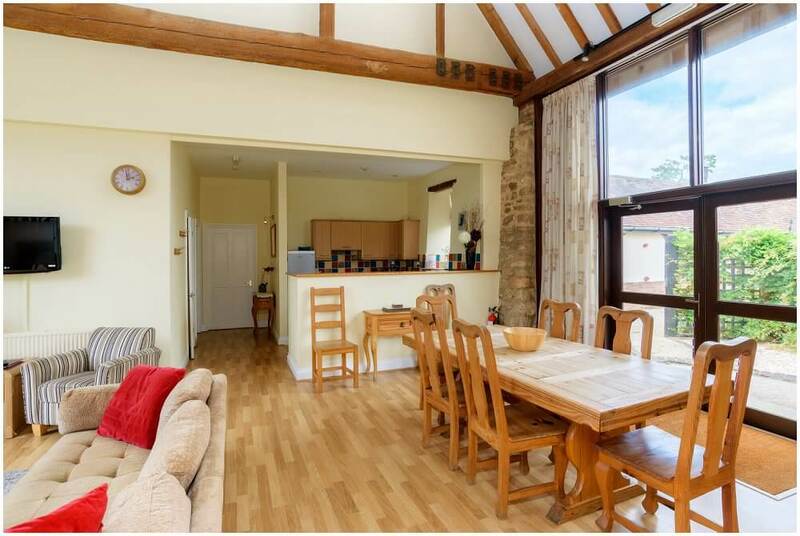 Its open plan living space provides immense natural light and ample room for all the family, even the chef in the group will feel included in all the conversations! 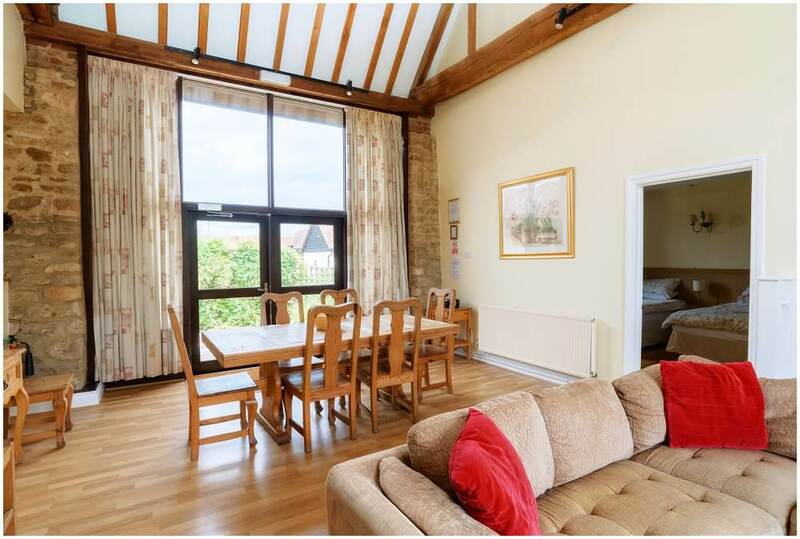 The main living room doors face south and look out over the picturesque Oxfordshire countryside. 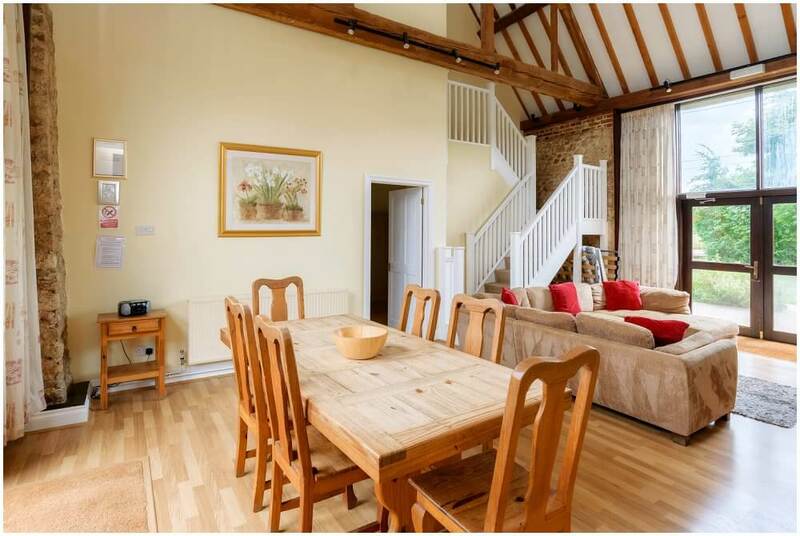 Kingfisher Barn is proud of the divine polished wooden floors that cover the downstairs living space. 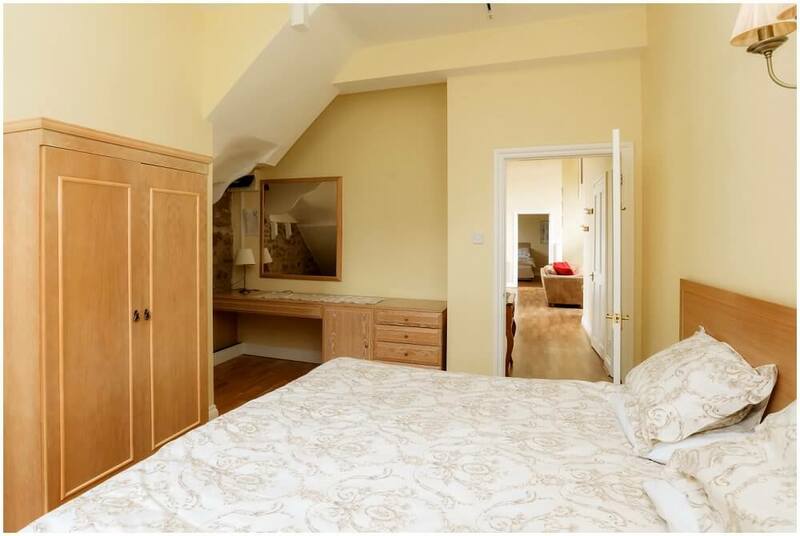 Kestral has a large family bedroom with en-suite shower and two further double bedrooms, both offering the choice of two twins or one king-size. 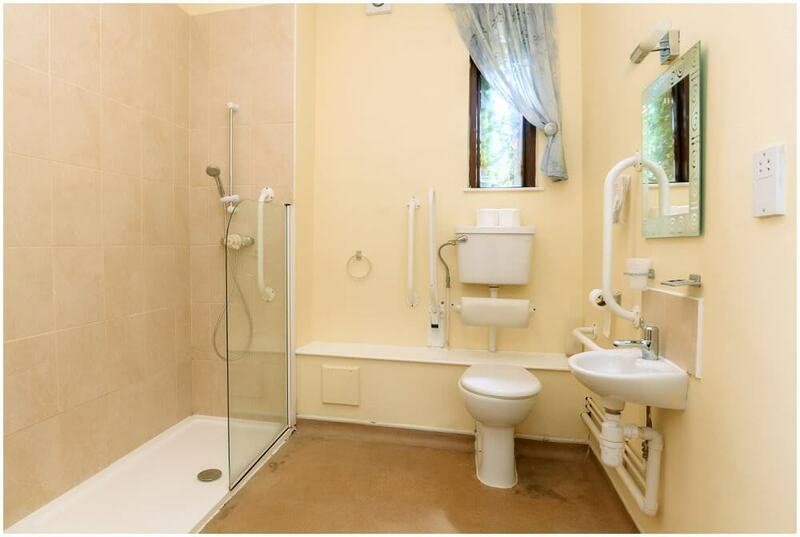 There is also a big family bathroom and modern well-equipped kitchen. 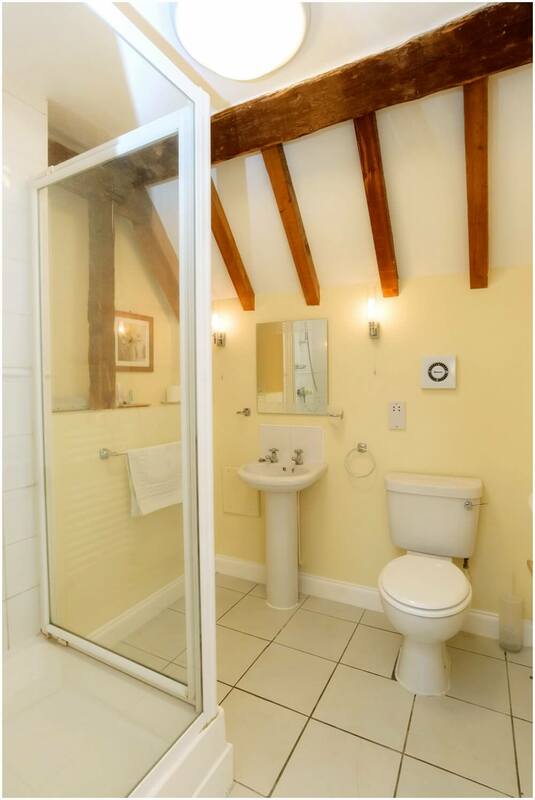 Upstairs has one further bedroom with en-suite shower room. 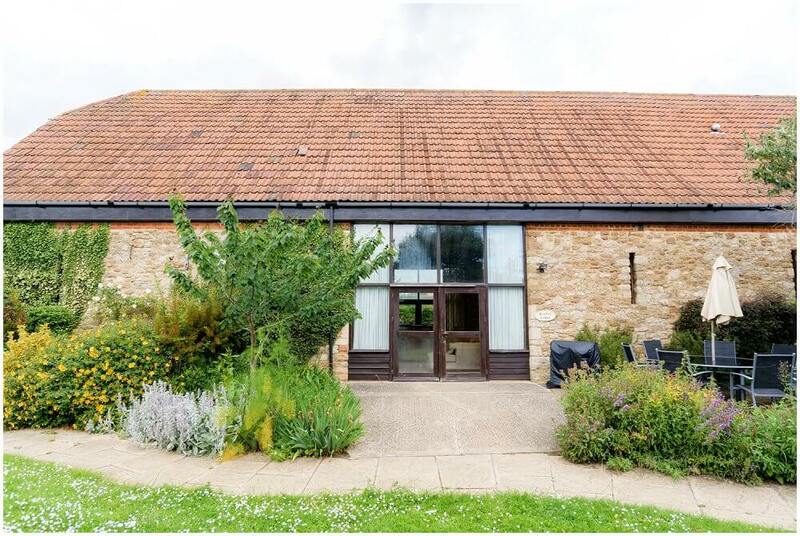 Kestrel Lodge is a particularly social space, and the open plan layout means you can enjoy a real sense of involvement. 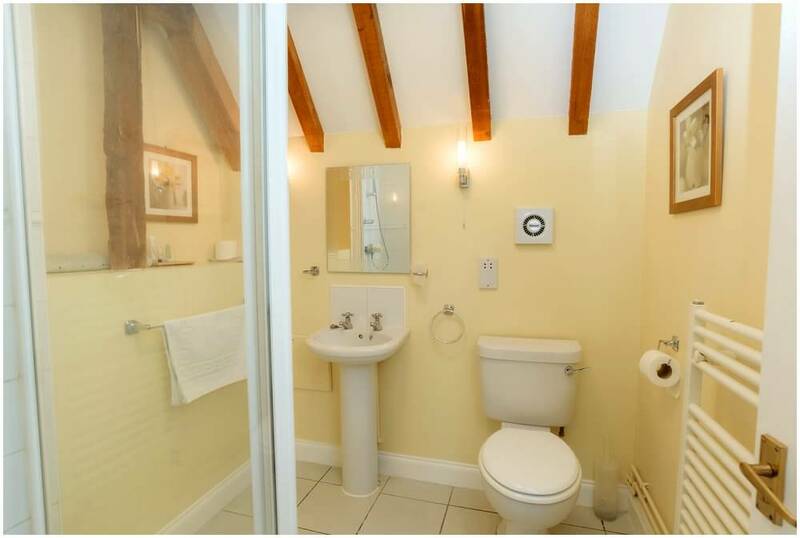 High-pitched ceilings and exposed stonework add to the wonderful country feel. 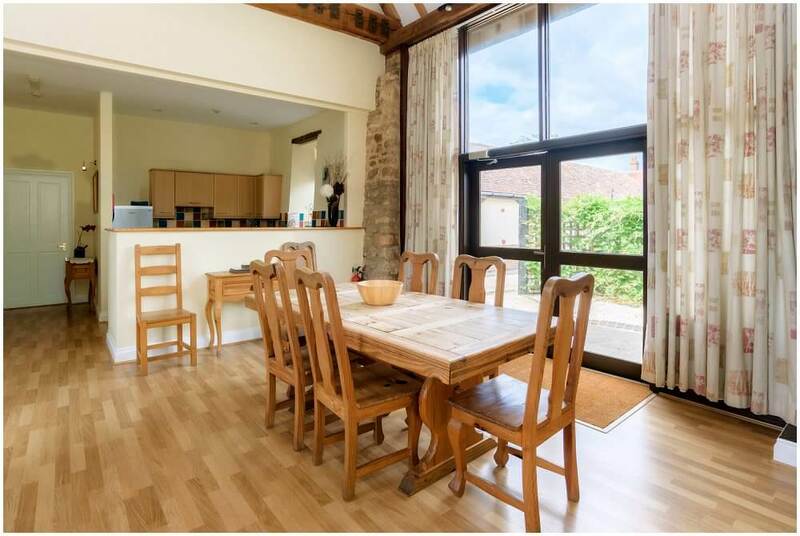 A huge wooden table will comfortably seat up to ten guests for some truly memorable mealtimes. Outside of this charming lodge, there is a private terrace with a seating and barbeque area (in the summer season). Marvel at the striking views of the Oxford countryside. 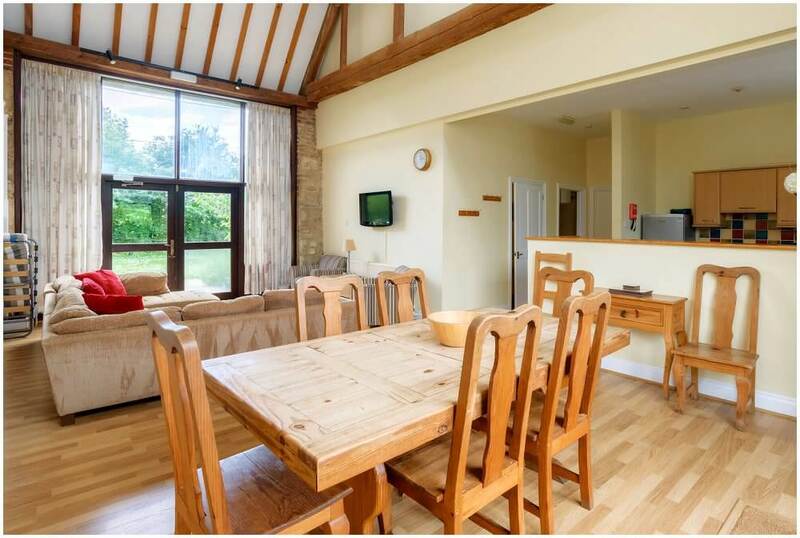 These views can also be enjoyed from a comfy chair while looking through the Lodge's large windows. 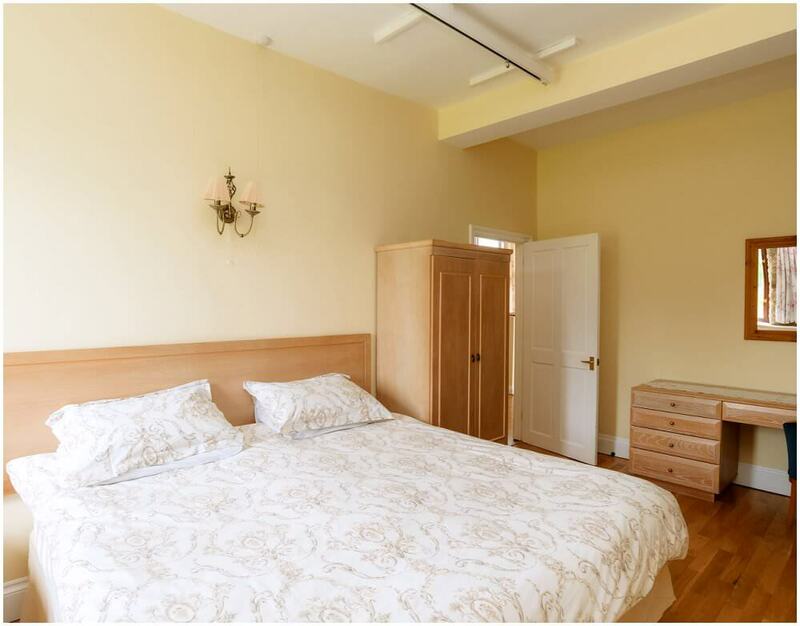 Kestrel Lodge also has a sofa bed which is available for occasional use. 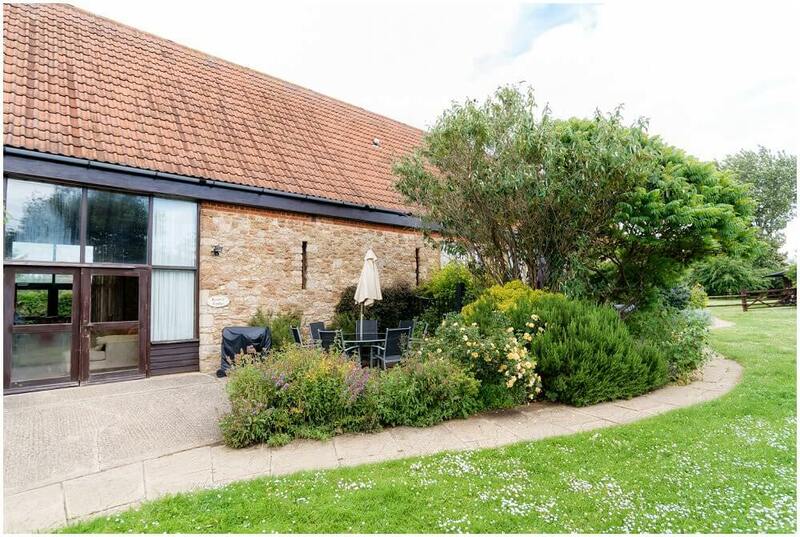 This large, bright and flexible accommodation offers the perfect setting in which to spend a group holiday or celebrate a special occasion. 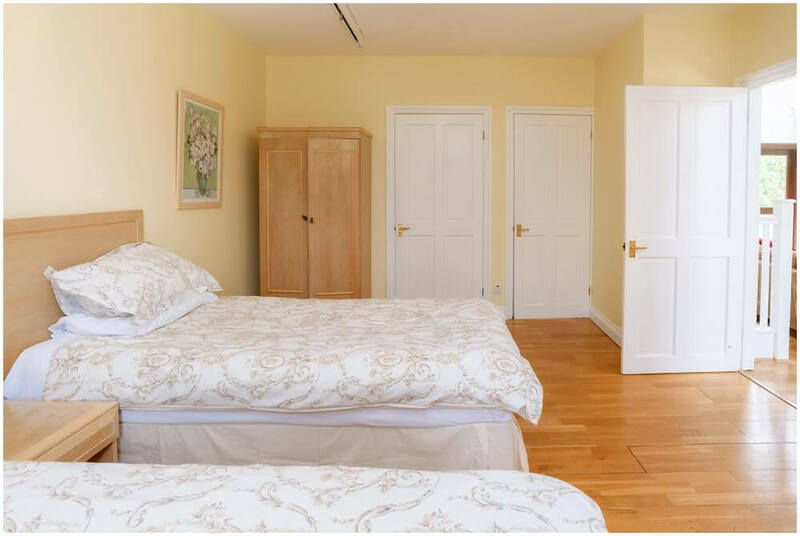 With all linen and towels freshly provided and our renowned high-quality inclusions throughout, our Self Catering Kestrel Lodge has been built for all to enjoy. 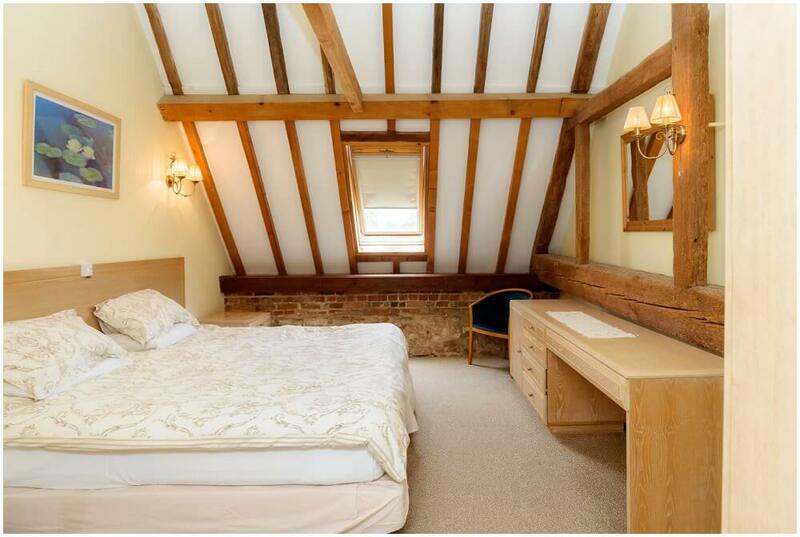 The Lodge has ceiling tracking and we can provide hoists and slings for use in the downstairs bedrooms. 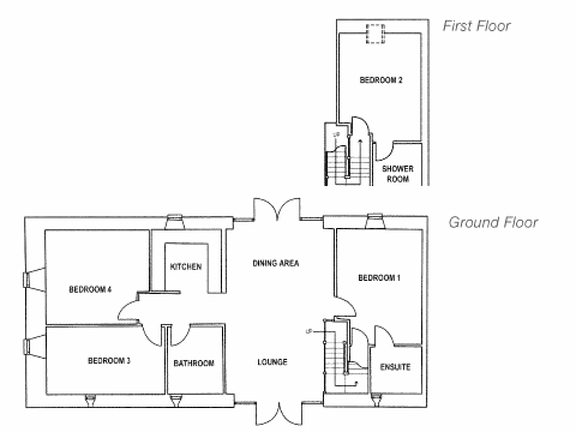 The accommodation does not have a shower or wet room, only baths with showers above the baths.